The trap bar deadlift is a very valuable exercise. It has similarities to both the squat and deadlift and may be better at generating power than either. It does have some drawbacks but it seems the benefits are far greater. 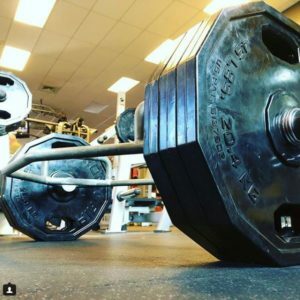 In this article we cover everything we could think of relating to the trap bar deadlift and hope it will persuade you to add it to your training program. With all the information on training out there, most of us get caught up in the idea that barbell exercises are far superior to their alternatives. Progress is much more predictable; the movements are easier to learn, and, everyone else is doing it. In my early years of training, I refused to do any compound movement with anything other than a barbell. I felt like I wasn’t getting as much of each set. Barbells and the primary exercises we use them to do are far superior to any other training tools that have ever been devised. Properly performed, full-range-of-motion barbell exercises are essentially the functional expression of human skeletal and muscular anatomy under a load. – Starting Strength, 3rd Edition. Now, there is a lot of validity to his statement, and I’m not about to argue his point. He’s very good at getting people jacked and strong. But, as with most aspects of training, things aren’t so black and white here. In fact, they are pretty gray. Today, we’ll take a look at the trap bar deadlift and why it’s a highly underrated movement. Well, they are both deadlift variations. There are some similarities and a lot of differences. You load up a straight piece of metal with weight plates on both sides, stand behind it, grip it, and lift it up. To maintain the barbell over your center of gravity, you need to place your mid-foot underneath it and lift the bar in a straight line. It’s hexagon-shaped bar (often referred to as a “hex bar”) that has two endings on both sides for weight plates. It also has two handles that allow you to grab the bar with a neutral grip (hands on your sides and palms facing your thighs). Unlike a regular barbell, to deadlift the hex bar, you need to stand in it, grab it by the handles and lift it up. You can’t screw up with the center of gravity here since you’re standing inside it. And while both movements are quite similar, the barbell deadlift tends to activate your hamstrings and spinal erectors a bit more, while the trap bar deadlift elicits a bit more quad activation (1). Some of the research (and my observation with clients) suggests that most people can lift a bit more weight with a trap bar compared to a regular barbell (2, 3). The main similarities between the two movements are that both train the hinge pattern effectively (and develop your posterior chain well), both can be overloaded with tons of weight (if you have the grit for it), and both have similar ranges of motion. 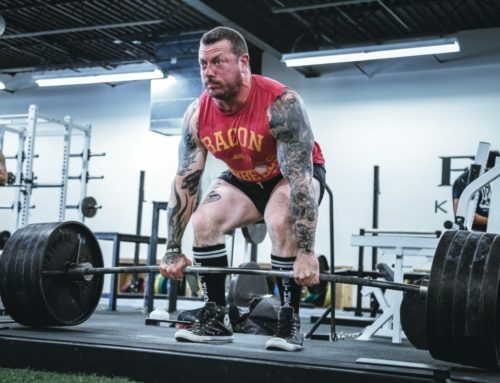 While people who want to compete in powerlifting do need to train the barbell version of the deadlift, most of us who want to get jacked and strong have more options. And this is why we need to look at the benefits of a given exercise and make a decision. The trap bar deadlift allows for greater loads to be lifted. As we discussed in the previous point, most people can generally lift a bit more weight with a hex bar. The difference isn’t huge, and you still need to invest some time to become proficient with the lift, but it’s a difference nonetheless. Well, we are aware that training volume is a key driver for muscle growth in the gym. 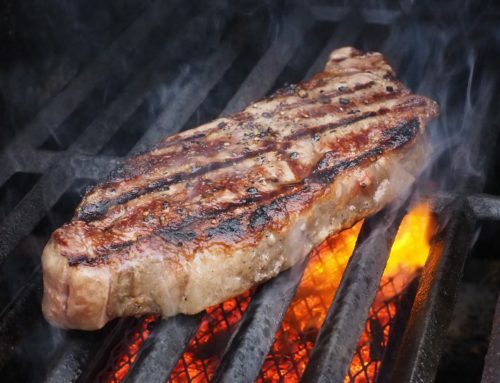 The more, the better (to a point, of course) (4). For example, if you can conventionally deadlift 315 pounds for sets of 5 reps, you’d build up a certain amount of volume. But, if you can trap bar deadlift 330-340 pounds for the same sets of 5, you’d build up more volume than that. If your main goal is hypertrophy, it’s a good idea to pick movements that allow you to build more volume over time. The trap bar deadlift is easier to learn. For example, we discussed how, to keep the bar over your center of gravity, you need to lift it in a perfectly vertical line. This can be difficult for most beginners to master and they often find themselves wobbling and out of balance. And another thing: since you are standing behind the bar and your legs can get in the way if your form is bad, you can lose your balance or end up rounding your back to compensate for the mechanical disadvantage. With a hexagon-shaped bar, however, your shins are never in the way, you can maintain a neutral spine, and that makes it a more efficient way for beginners to learn the hip hinge pattern. You don’t have to use a mixed grip. With the barbell deadlift, once the weight gets heavy enough, most people resort to using a mixed grip (dominant hand over the bar, palm facing your body; other hand under the bar, palm facing away) to keep a steady grip and avoid slipping of the bar. 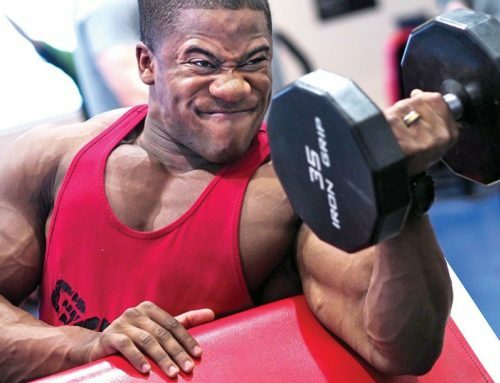 And while I don’t agree that using a mixed grip is going to lead to muscular imbalances from left to right (especially if you use it sparingly), some people have incurred bicep tears on their non-dominant hand with this grip. With a trap bar, however, using the neutral grip eliminates the possibility that the handles are going to roll off your hands. This type of grip is also excellent at balancing your grip. If, for example, you find that one hand is a bit weaker than the other, practicing the trap bar deadlift is likely going to cure this imbalance within a few weeks. Most trap bars have high handles for people with limited mobility. 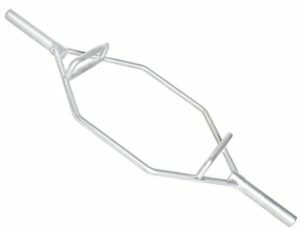 If I had a penny for each time I saw a beginner deadlift a barbell with a rounded back, I would have enough money to buy a trap bar. For one reason or another, some people lack the mobility needed to get into a proper starting position for the deadlift. In that case, they either have to compensate with spinal flexion (which is a surefire way to herniate some discs) or to deadlift the bar from a higher position (such as rack pulls or block pulls). And while some are stubborn enough to continue deadlifting with a barbell until their back goes ‘owie,’ others take the smart approach and switch to trap bar deadlifts using the high handles. The handles allow you to decrease the range of motion just enough so you can get into starting position with a neutral back while still getting the full benefit of the exercise. You’ll avoid hyperextension at the top. Most people who go through the journey of learning the barbell deadlift go through a phase which I like to call the overachiever. They lock out the weight on top position then proceed to hyperextend their spine for some extra gains. Of course, my naming choice for this phase is sarcastic. The truth is, hyperextension won’t deliver more results, but it may cause an injury after a while. With the trap bar, however, most people learn the proper range of motion much more naturally because there isn’t a barbell in front of them to overextend. You can’t use a sumo stance. If your preferred choice of barbell deadlifts is sumo, you might not like the trap bar deadlift.. at first (You’ll fall for it eventually, though). Because of the configuration of the trap bar, there is no way for you to assume the wide, sumo stance. On the other hand, if you, like me, have always wanted to pull conventional, but your mobility never allowed you, trap bar deadlifts can be the perfect substitute. So.. this is a benefit within the drawback, I guess? Moving on. Some gyms don’t have trap bars. Crazy, I know. There was a point in my training some time back where I was completely obsessed with the trap bar deadlift. At one point, I decided to try out a new gym. I had one workout, saw that there were no trap bars and.. well.. never went back. The trap bar is a ‘taboo’ piece of equipment, and many gym bros don’t deem it ‘manly’ enough to deserve a spot at the cool table. If you’re a smaller person, you might find it uncomfortable. For the Mountain from Game of Thrones. The problem is, most trap bars aren’t thought out well for women, smaller men, and teenagers. If you are on the smaller side, you might find the handles of most trap bars to be too wide. In that case, either get to growing or stick to a barbell. You can’t use it in a powerlifting competition. 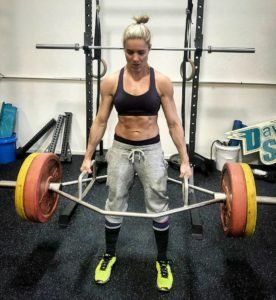 This drawback probably won’t make most of you bat an eyelash, but for those of you who are looking to build a strong deadlift with the goal of competing in a powerlifting meet, your best bet would be to use a straight bar. Experts on social media will surely have a say in it. Whether you can trap deadlift 135 or 755 pounds, you’ll always be a cheater in the eyes of haters. How is the Trap Bar Deadlift Similar to the Squat? A lot of people like to pick on the trap bar deadlift, stating that it’s not a true deadlift because it resembles the squat biomechanically. And, since it’s conventional wisdom to train the squat, the trap bar deadlift falls in a limbo where it trains neither the hip hinge pattern nor the squat pattern as well as the barbell deadlift and squat can. To the untrained eye, the trap bar deadlift does seem to resemble the squat and people get confused because the back is quite upright at the starting position. So, the thinking goes, they grab onto the weight, and the legs do the entire work. To get into the starting position for the sumo deadlift (when compared to the conventional), you don’t have to lean forward nearly as much to get your scapula above the barbell. This means that your back angle is much more vertical for the sumo compared to the conventional deadlift. And, as with the trap bar deadlift, to the untrained eye, this movement would look more like a backward squat, rather than a deadlift. But, as we know from research and thousands of successful athletes (with massive backs), sumo deadlifts are just as effective at training the hip hinge pattern as conventional. Now, let’s take a look at some research for the trap bar deadlift. In one 2011 study, the researchers reported peak joint moments in the conventional and trap bar deadlift with loads going up to 80% of 1RM. The subjects were 19 powerlifters, and the average lift for the conventional was 244 kg (539 lbs) and 265 kg (584 lbs) for the trap bar. We can safely assume that these guys were pretty strong and proficient with the lifts. Now, for the conventional deadlift, the peak hip flexion moment was reported to be ~350 Nm, and the peak knee flexion moment was around ~100 Nm. The ratio of the peak hip moment to peak knee moment was roughly 3.5:1. For the trap bar deadlift, the peak hip flexion moment was reported to be ~325 Nm, and the peak knee flexion moment was around ~180 Nm. The ratio here was roughly 1.8:1. So far, so good. Let’s now take a look at a study that examined the squat pattern on experienced lifters. In one study (5), the highest reported hip flexion moment was ~630 Nm, and the highest reported knee flexion moment was ~760 Nm. The ratio was 0.82:1. This is one huge difference when we compared it to the trap bar deadlift ratio of 1.8:1, now isn’t it? What we can conclude from this that, during a squat, there is a comparable peak knee and hip flexion moment with identical ranges of motion. In contrast, the conventional deadlift puts a 3-4 times higher demand on the hips than the quads and takes the hips through a much longer range of motion. And, finally, the trap bar deadlift puts around twice as much demand on the hips than the quads and has a range of motion identical to that of the conventional deadlift. The conventional deadlift: highest hip to knee demand (ratio of 3.5:1). The trap bar deadlift falls somewhere between the squat and conventional deadlift. This further reinforces the EMG references from above where researchers found that the conventional deadlift works a bit better at activating the spinal erectors, where the trap bar deadlift activates the quad muscles a bit more. With the research that is out so far and some of the benefits/drawbacks we covered above, we can come to some conclusion about this often overlooked movement. Honestly? The sumo, conventional, and trap bar deadlifts are all excellent options. Each of them can get you strong and big. Whichever you choose to stick to is up to you. If you love the conventional deadlift and mobility is not an issue for you, by all means, do that. If you love the conventional deadlift, but your mobility is stopping you from using good form, then go for the trap bar. Both train your spinal erectors amazingly well, and the trap bar deadlift activates your quads a bit more. If you can’t decide between the sumo and trap bar, realize that you’ll likely hit your back a bit better with the trap bar and your legs a bit better with sumo. Since the trap bar deadlift is the safest and easiest of the three movements, I would recommend using it for higher volume workouts. This is because, once fatigue starts to set in, most people easily break down their form on the barbell deadlifts. With the trap bar, this effect is somewhat mitigated. Of course, you still need to use your brain. Related: How Often Should I Lift Weights to Gain Muscle? This is where I’m hesitant to go for the trap bar deadlift. It has much smaller mobility demands, it’s easier to learn, it doesn’t require the use of a mixed grip (yes, some beginners are relatively strong, but they lack the grip), you can’t hyperextend your back at the top position, and it’s overall a safer movement for beginners. By far the best option to teach a beginner the hip hinge pattern. 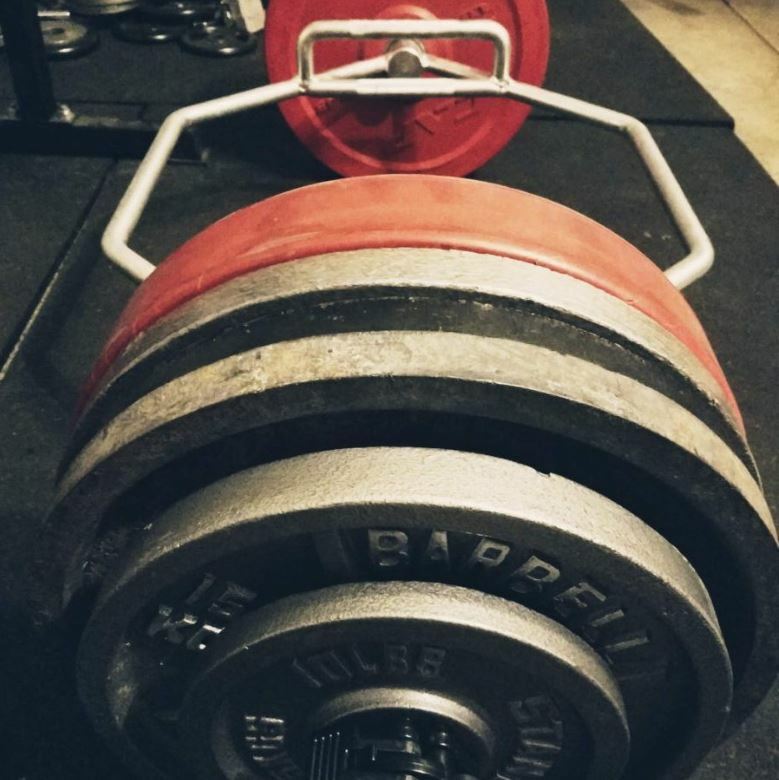 Also, if your gym doesn’t have bumper plates (which is a bummer), the trap bar would be a better option because you’ll be able to lift a bit more weight and get to 135 pounds quicker. Getting into proper deadlift position is difficult enough as it is with 45-pound plates. 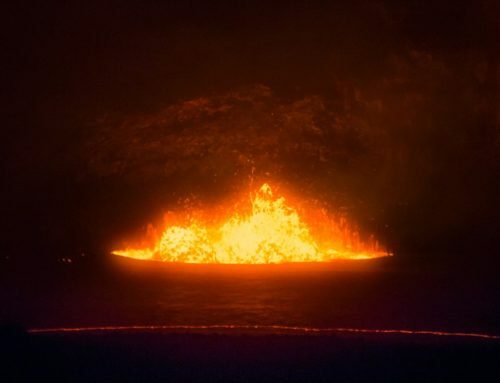 It is a hell for beginners who are forced to do it with 25s or 15s on each side. As a powerlifter, you need to practice the barbell deadlift of your choice. Lifting is a skill, and like any other, needs to be practiced if you want to get good at it. However, if your next meet is far off into the future, there’s no reason not to give the trap bar deadlift some love, especially if you need to use some spinal flexion to get into the starting position for a barbell deadlift. Also, if you also want to get a bit more jacked in the off-season, using the trap bar deadlift for volume work is a smart choice. If, however, you are not far off from a meet, I would recommend sticking to barbells exclusively. You are going to lift barbells during the competition, so training with them is the rational choice. Basketball players don’t play tennis to improve their accuracy; they throw the ball into a hoop. Some of the research from above (uno, dos) does suggest that peak power and velocity are higher with the trap bar deadlift in comparison to the conventional. 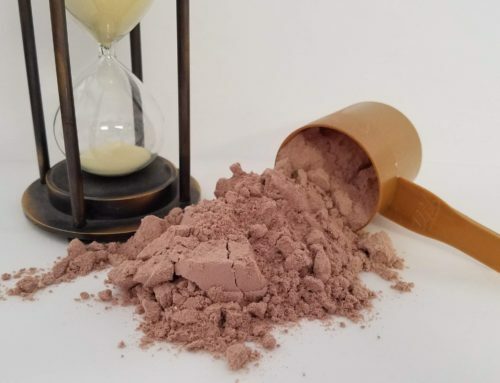 We can reasonably assume that this would lead to a slightly bigger impact on sports performance where explosiveness, power, and velocity are important. Well.. I can think of one or two sports that have these requirements. For the love of all that is holy, if your gym has more than one type of chest fly machine and no hex bars, get out of there. Like, immediately. It seems like the trap bar deadlift is quite the movement. Who knew? I hope this guide was of tremendous value to you and you’re at least considering giving this movement a fair go. It’s well balanced, easier to learn, has smaller mobility requirements, (likely) has a better transfer to most sports, you can lift a bit more weight (which tickles every dude’s ego), and it’s safer. It can help you get swole, which, let’s face it, we all want that. Even if we say we don’t. There are many options when it comes to choosing a trap bar. I have only used the most basic variety and while it doesn’t look as cool as others, it seems to meet all the requirements. 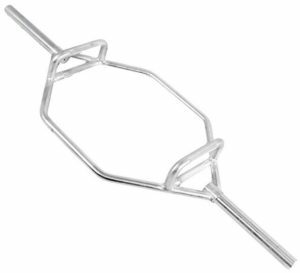 There are trap bars with different handle positions and a wider hex. I can see how these features would come in handy, but i’m not sure the benefits are worth the extra cost. Above is the exact trap bar I use. It’s the CAP Barbell Olympic 2-Inch Combo Hex Bar . You can buy it on amazon by clicking that link. It’s only around $100. It’s great and it’s very sturdy. The only down side is that it can only hold 5 45’s on each side. I have maxed it out and will have to move on to a bigger one. If you plan on being super huge and strong you need to get a trap bar with longer sleeves (the part that the plates go on) The one I’d recommend is the Cap Mega Hex/ Trap Bar. It’s just like the regular bar but has longer sleeves for more plates! The awesome thing is that it’s only $30 more. I would go with this option all the way. Plan on being extra huge and strong and buy this one from the beginning. Otherwise, you will end up with two. If you are looking for something different, want all the features, have plenty of money, or want your trap bar to look extra cool, check out some of the Cadillacs below. I went through all the trap bars on amazon and picked out the 8 I felt were best. The CFF Monster Hex Squat & Deadlift Training Bar seems to have every option you could ever want. While the cap bars are basic but cost effective.